dream car? what does that means to you? some defines dream car as being the best car out there. but best can still be vague. it could either be performance-wise or looks alone or maybe both. bmw m3, ferrari enzo, bugatti veyron, lamborghini reventon, porsche carrera gt, or perhaps the japan cars like nissan gtr or maybe the us muscle shelby gt500, corvette c6. others may define this as a car that is best and more realistic to own. the list might start with nissan skyline gtt, subaru impreza, toyota celica, honda civic type-r, mitsubishi evo, audi a4, bmw 320ci, golf gti. guess im the later kind-of-person. i’d dream for a car that’s more realistic. what’s the point of dreaming if you can’t achieve it eh.. so i’ve set my aim on this cars. on long term view, i’d love to own a BMW M3. i might be able to buy that in 15-20 years from now. by then would that still be my dream car? maybe a car that’s comparable to that stature. however the short term goals that really matters for now. two cars are currently under my radar. Subaru Impreza WRX version 7/8 and Nissan Silvia S15 Spec R. after considering quite a number of cars, these two tops the list. major factor would be initial buy costs, fuel consumption and maintenance cost. i was considering bmw 3-series, impreza, s15, toyota caldina and few other cars. i must say my list of comparison is quite jumbled up as it consists of sports cars, family wagon, 4wd and luxury ride. my primary concern was handling and performance apart from money aspects. so here goes the review on both of my dream cars..
All Imprezas got a facelift and interior enhancements for the 2004 model year, taking cues from the ultra-high performance WRX STi. A drive in an `04 WRX sedan immediately afterwards found it to be much better in the real world, with only slightly less performance and considerably greater comfort. All 2004 Subaru Impreza models have bolder front styling, with a sculpted hood that emphasizes new complex headlights that peek from behind triangular covers that have circular inboard sections. The upper grille is an upside-down trapezoid, similar to that of the previous model, but it’s now integrated better with a larger lower grille in a flat lower bumper fascia to give a competition-ready look. 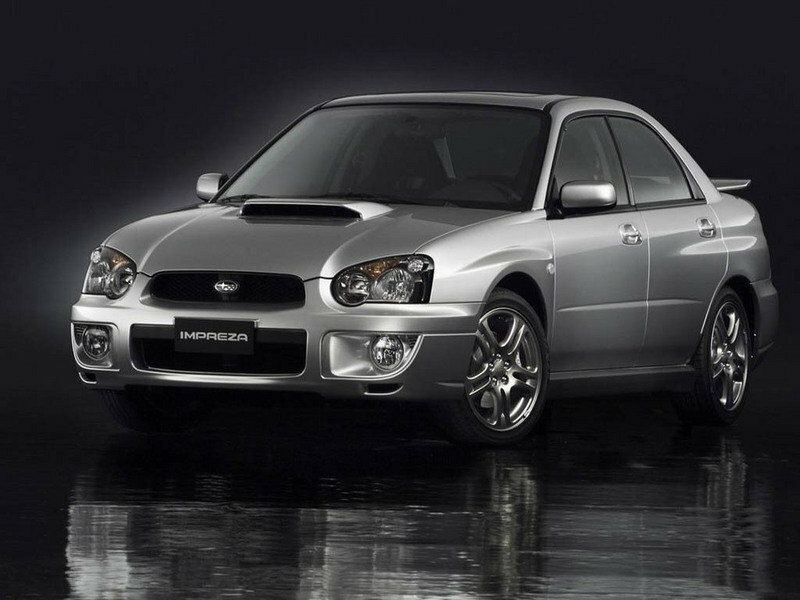 The regular WRX engine is unchanged for 2004, and no changes were needed. If the compact horizontally-opposed turbocharged and intercooled 2.0-liter twin cam, 16-valve engine’s 227 horsepower (at 6,000 rpm) and 217 lb-ft of torque (at 4,000 rpm) is overshadowed by the STi’s 300 of each, the regular WRX’s power is much more accessible. It’s strong right from the start, with a very healthy midrange and little fade up near redline. Turbo lag, even with 13.5 lbs of boost, is nonexistent once revs are over 2500 rpm; throttle response is as immediate as a naturally-aspirated engine’s, and power delivery is very linear. A five-speed manual gearbox is standard, with a four-speed automatic available. The five-speed is the best choice for performance, with less weight and more and more closely-spaced gear ratios, but the engine’s strong torque should make the automatic a functional option for anyone who accepts the realities of today’s commute traffic. 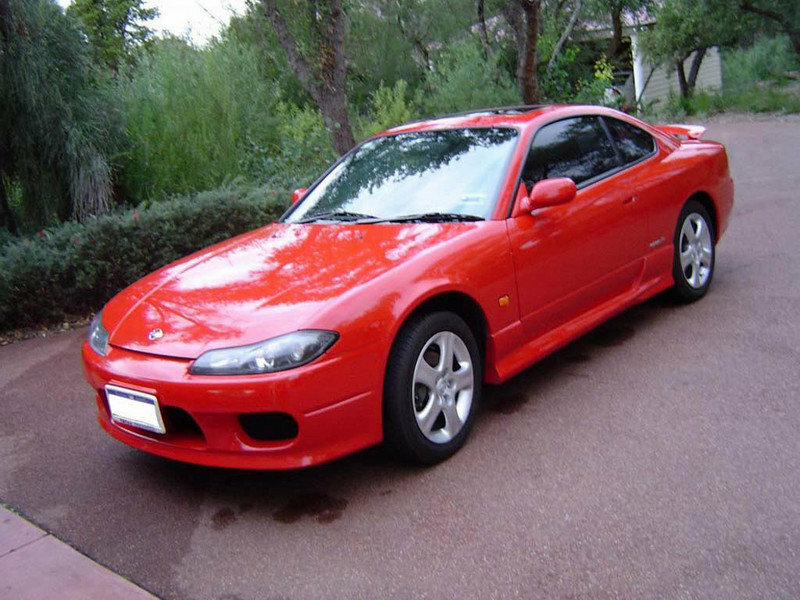 The S15 is a rear-wheel-drive sports coupe, powered by Nissan’s SR20DET; a 2.0 litre in-line 4 cylinder turbocharged engine with air-to-air intercooler that delivers a power output of 250 horsepower that results in a power-to-weight ration of less than 5Kg/PS. The S15 has a new 6-speed close-ratio gearbox for improved acceleration and features a specially tuned exhaust system characterized by a powerful sound at low engine speeds and a liner increase at high engine speeds. Steering system stiffness has been increased to provide improved steering feel. The front strut suspension and rear multi-link suspension has been carried over to the S15 Silvia. Strengthening the upper member of the hood structure and adding reinforcements to rear pillars has increased body stiffness. Braking System: The Nissan Silvia spec-R series is fitted with ventilated front disc brakes with opposed 4-piston calipers, highly responsive ABS and a larger brake booster. Larger brake rotors and a larger brake boosters are also used on Spec-S. Triple Safety Concept: The first is information safety for warning the driver of potential danger, the second is control safety for assisting the driver in avoiding potential danger, and the third is impact safety for helping reduce injury in the event of an accident. better?performance-wise must be impreza. but looks surely silvia. hm.. i have no idea la. both are ok. but i prefer 2 doors car.